Charles-André PHILIP was born in Lyon, France, in 1986. He obtained is MD degree from University Claude Bernard (Lyon, France), in 2014 and is specialized in Obstetrics and Gynecology. He obtained his Master of Science in Oncology from Lyon 1 University (Lyon, France) during his fellowship in the Lady Davis Institute for Medical Research at McGill University (Montreal, Canada) in 2015. His main clinical and research fields are endometriosis and oncology. He completed a 2 years fellowship in Gynecology-Obstetric in Croix-Rousse University Hospital (HCL, Lyon, France) and contributed with Pr. Gil Dubernard to the description and evaluation of 3D-Rectosonography, a new procedure combining tridimensional sonography and intra-rectal contrast for the diagnosis of rectal endometriosis. 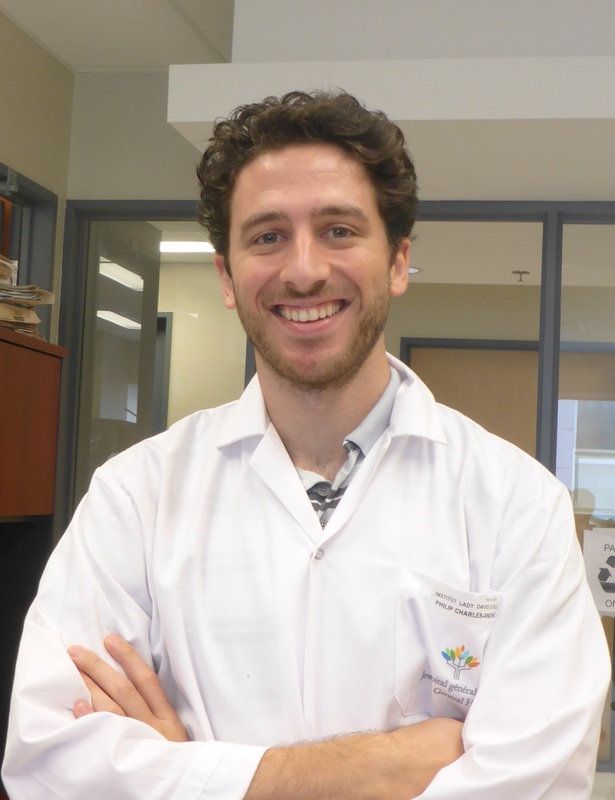 His is currently in 3rd year of PhD in the LabTAU (INSERM Unit 1032) and is working alongside with EDAP-TMS, Pr Gil Dubernard and Cyril Lafon, to assess the role of HIFU in the treatment of posterior deep invasive endometriosis. Charles-André PHILIP obtained the “Daniel DARGENT Price” for the best oral presentation at the 9th SCGP congress (Lyon France) for his speech on 3D-Rectosonography in 2012. He obtained a grant from “Nuovo-Soldati Fundation for cancer research” and from “La Region Rhone-Alpes” for his work on PARP inhibitors and PI3K inhibitors combination in endometrial cancer in 2014. He is currently member of the FRIENDS group for research on endometriosis. C. A. Philip, I. Laskov, M. C. Beauchamp, M. Marques, O. Amin, J. Bitharas, R. Kessous, L. Kogan, T. Baloch, W. H. Gotlieb and A. Yasmeen. Inhibition of PI3K-AKT-mTOR pathway sensitizes endometrial cancer cell lines to PARP inhibitors. BMC cancer 2017; 17: 638. DOI 10.1186/s12885-017-3639-0. G. Dubernard, A. Gelet, C. Lafon, N. Guillen, F. Chavrier, J. Y. Chapelon, C. Huissoud and C. A. Philip. Transrectal High-Intensity Focused Ultrasound as focal therapy of posterior deep invasive endometriosis. Ultrasound in obstetrics & gynecology : the official journal of the International Society of Ultrasound in Obstetrics and Gynecology 2017. DOI 10.1002/uog.17497. C. A. Philip, A. Pelissier, C. Bonneau, D. Hequet, R. Rouzier and N. Pouget. Impact of Neoadjuvant Chemotherapy on the Rate of Bowel Resection in Advanced Epithelial Ovarian Cancer. Anticancer research 2016; 36: 4865-4871. C. Thonnon, C. A. Philip, H. Fassi-Fehri, C. Bisch, A. Coulon, P. de Saint-Hilaire and G. Dubernard. Three-dimensional ultrasound in the management of bladder endometriosis. Journal of minimally invasive gynecology 2015; 22: 403-409. DOI 10.1016/j.jmig.2014.10.021. C. A. Philip, C. Bisch, A. Coulon, E. Maissiat, P. de Saint-Hilaire, C. Huissoud, R. Rudigoz and G. Dubernard. Three-dimensional sonorectography: a new transvaginal ultrasound technique with intrarectal contrast to assess colorectal endometriosis. Ultrasound in obstetrics & gynecology : the official journal of the International Society of Ultrasound in Obstetrics and Gynecology 2015; 45: 233-235. DOI 10.1002/uog.13446. C. A. Philip, C. Bisch, A. Coulon, P. de Saint-Hilaire, R. C. Rudigoz and G. Dubernard. Correlation between three-dimensional rectosonography and magnetic resonance imaging in the diagnosis of rectosigmoid endometriosis: a preliminary study on the first fifty cases. European journal of obstetrics, gynecology, and reproductive biology 2015; 187: 35-40. DOI 10.1016/j.ejogrb.2015.02.006. C. A. Philip, P. Pautier, F. Duffaud and I. Ray-Coquard. High-grade undifferentiated sarcomas of the uterus: diagnosis, outcomes, and new treatment approaches. Current oncology reports 2014; 16: 405. DOI 10.1007/s11912-014-0405-1.